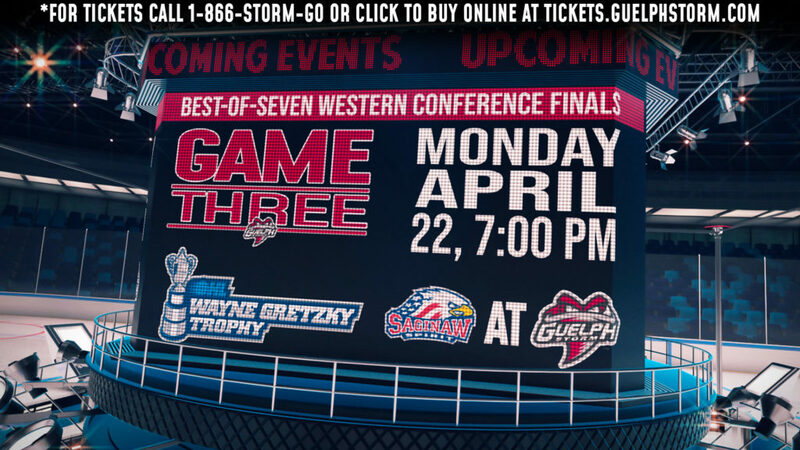 The Guelph Storm return home Friday night, as they look to stay perfect against Western conference opponents when the Windsor Spitfires visit the Sleeman Centre. After splitting their week two matchups the Storm enter a busy Thanksgiving weekend schedule as they play the Spitfires at home before visiting Hamilton on Saturday and Kitchener on Monday. 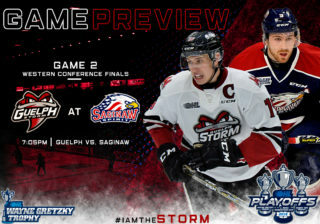 The Storm are currently a perfect 3-0-0-0 when facing western conference opponents to start the season and they will have another tough matchup as the hosts of the 2017 Memorial Cup make their first visit to the Sleeman Centre on Friday night. The Spitfires had a shaky first two weeks of the season, but things are looking up for the Memorial Cup hosts as, Gabriel Vilardi, Logan Stanley, and Jeremiah Addison made their return Thursday night versus the Mississauga Steelheads. Vilardi makes his return after injuring his knee at Hockey Canada’s U-18 camp in August. Stanley and Addison were both reassigned to Windsor after strong NHL training camps. It’s been a great week for the sophomore winger, Isaac Ratcliffe. Hot off the heels of a three-point weekend, Ratcliffe scored and picked up an assist in the loss to the Bulldogs and he added an assist in the win over the Attack. The London native was just named to the NHL Central Scouting Players to Watch list, receiving a “B” ranking. After being held off the score sheet during the first two games of the season, Ratcliffe seems to be getting into a groove and will look to continue his play into this weekend’s action. First-year import, Albert Michnac, had a breakout game versus the Attack recording his first OHL point during the first period and scored his first career OHL goal in the third. Michnac was also named to the NHL Central Scouting Players to Watch list, receive a “C” ranking, early on in the season. 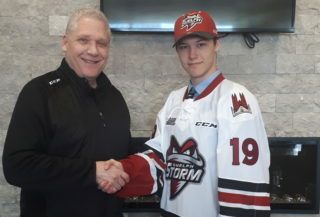 In total the Storm had six players listed in the NHL Central Scouting Players to Watch list, the only Storm defender listed was Russian native Dmitri Samorukov. The first-year import garnered a “B” ranking and has received praise in many other third party rankings. Off to a strong start with two points in four games and a plus-2 rating, he’ll look to continue his strong start. 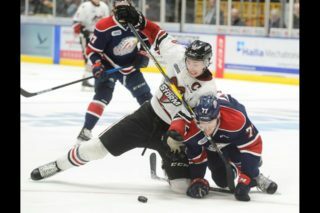 The Spitfires received a much-added boost to their lineup when Gabriel Vilardi made his season debut on Thursday night. A top prospect for the 2017 BHL Entry Draft, Vilardi, scored and added two more assists in his first game. The Spitfires carry a potent offense, and one the leaders of that offense is Ottawa Senators prospect Logan Brown. Drafted 11th overall in the 2016 NHL Entry Draft, Brown has been lethal to start the year, highlighted by a four-assist night versus the Steelheads last week and a two-point game last night versus the Steelheads. On the blue line, the Spitfires are led by Winnipeg Jets prospect, Logan Stanley. The 6-foot-7, 231-pound defender, was selected 18th overall in the 2016 NHL Entry Draft and made his season debut last night versus the Steelheads, picking up an assist late in the game.